There is no doubt that one of the hottest topics in cryptocurrency today revolves around tokens. Initial Coin Offerings (ICOs) have exploded in popularity and the media can’t stop pushing out stories about newfound wealth. In the heat of the craze many people are left trying to ask what they just bought and by what means an abstract token is justified? A 10,000% return is exciting, but do we really need a token if we can use fiat or the other cryptocurrencies to exchange services on a platform? Whether you are looking to buy at token or create an entirely new token, these important questions should be carefully considered. Fiat — A countries national asset. It is needed to pay taxes in that country. The value can be arbitrarily changed by a central bank at anytime. On average it decreases in value every year. Coin — A blockchain’s native asset (e.g. Bitcoin or Ether). These cryptocurrencies are needed to provide the incentives that guarantee the security and censorship resistance for the underlying network. Security tokens — A representation of an external, trade-able asset and hence becomes subject to federal security legislation. This could represent the shares of a company or an item such as gold. Utility tokens — An asset that provides future access to a product or service. Usually companies have (or plan to have) a platform in which the token is used to transact and provide functionality. Yet this article is not about coins or security tokens, they are too easily justified (even though some banks disapprove). Rather the heavy controversy and criticisms lie within the realm of the utility token. It is a touchy, confusing, grey topic that houses many opinions and a lot at money. Utility tokens are by far the most represented form of token in the cryptocurrency space (just check coinmarketcap). They are the easiest to create and provide the least resistance in terms of regulation. Understand that a utility token represents an interest in a specific token based economy. It does not represent the company that set the distribution rules for that economy. If you decide to buy a utility token from an ICO you are voting that you want that company to use your money to benefit the participants of that economy. For better or worse, an ICO requires you to trust a centralized player to deliver a decentralized economy. 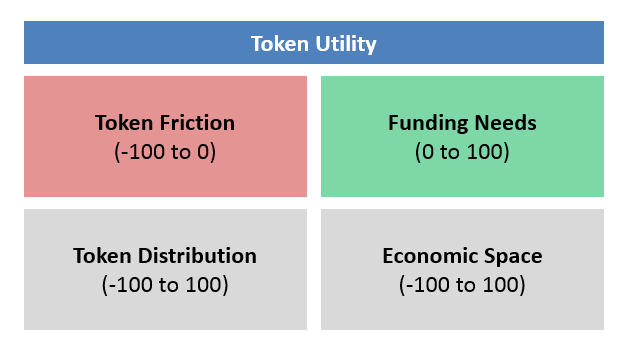 After having spent many nights pondering about token “utility”, I have come up with a list of four main aspects to consider when grading it. You can assign scores for each category if it helps (e.g. -100 to 100). There is a thin line between utility and annoyance, and unfortunately many tokens fall on the wrong side. It is necessary to realize that with every new token another layer of friction is added. If you want to use a platform that has its own local token, an extra step (and fee) is required to convert your preferred cryptocurrency into the new token. This is what I call negative utility. 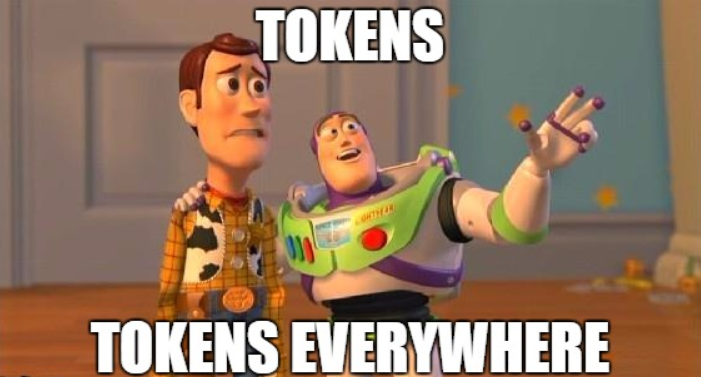 The worst of the worst is when you must hold a certain number of tokens to buy another token (a pseudo-form of staking without any returns). This effectively limits your liquidity and choice. There will likely come a time when an ultimate token converter leveraging atomic swaps will take care of these currency exchanges automatically. The alternative would be manually managing 50 separate tokens to access the services we need. I could only imagine the anxiety every time you realized the service you provided through one platform just lost half of its value because a random group dumped their coins on a 3rd party exchange. The more respectable companies that issue utility tokens will ensure that their legal documents, marketing, and spoken words iterate that their tokens are not investments. This is strictly necessary for them to overcome the Howey test and to lower the risk that their tokens are treated as securities. The truth of the matter is that most people buying utility tokens are doing so in a speculative manner to make profit. They do not care about the utility and rather intend to sell it on at some point. Companies that issue utility tokens obviously know this. As such, a project team (or a pushy VC) may see this as a chance to go for the cash grab. Just like a speculator buying the token looks for profits, the issuer is looking for a fast way to raise money for the sake of the money itself. At its worst the project turns out to be a scam where conveniently the anonymous founders run away with your money to buy some lambo’s. At the other end of the spectrum there are companies that legitimately need help from the community to fund their project. This is especially true when it comes to open source projects that might struggle with finding venture capital funding due to the increased difficulty in monetizing their products. In these cases, a token sale is necessary for the product or service to be built. Think of it as a Kickstarter campaign, you pledge your cryptocurrency to the project and in return you get a utility token which you can use on their platform when it is ready. As a bonus you can even trade that token to other people before the platform is ready if suddenly you need the pledged liquidity for other reasons. A common criticism to the above is that companies that need to rely on crowdfunding should do so through equity since many participants buy to invest. This is merely an opinion and does not represent market interests. People buy art as an investment (which is meant to be a utility in the sense of aesthetic pleasure) yet do not receive a share in the painter’s company. Others buy collector cars as an investment without receiving a stake in the underlying car company. Why cant a consumer buy part of an economy as an investment? Yet how do we filter out the cash grabs? This must be done organically by the market through maturity. Placing greater emphasis in minimum-viable-products and open source would be a great start. “Protecting” people by banning their involvement will simply create more inequality. By issuing your own token you determine the distribution of wealth in that economy, you become the designer, the creator. This is a powerful tool. You have one shot to get it right. Token distribution alone can determine the entire projects success or failure. If five whales own 90% of your “equality token”, good luck taking off. Many currencies we use today suffer from a poor Gini coefficient, custom tokens provide a wonderful way to reset that spread. For a typical consumer based platform that requires strong network effects to succeed, a wide-spread distribution is critical. An effective way to do this is to set a funding cap in the token sale of perhaps 2 to 5 ETH which ensures that nobody can scalp all the tokens at inception. A complementary method is to distribute rewards to participants that improve the health of the economy beyond funding (contributing code, writing tutorials, etc). A fitting example of this is NEO’s community run council City of Zion. Another way is to do an “airdrop” by handing out tokens for free to a large group of people. Isolating your economy can also ensure that the value produced benefits all of the participants. A consumer can suddenly become both a producer and an investor. Without an isolated token economy, a huge chunk of the value is extracted by the intermediaries in the market (Uber, Airbnb etc). Assuming a limited supply of decentralized tokens, value will transfer to everyone in that economy in the form of price appreciation. The reverse can also be true, poor use of the ICO funds by a company can lead to a shared loss in the economic value. There are many notable examples of isolated economies found in popular games like World of Warcraft or Second Life. However those currencies are often centralized and prone to arbitrary changes that result in inflation and trade restrictions. Gaming will undoubtedly be an area where decentralized cryptocurrencies thrive early as they instill more confidence and value sharing for all participants in game. Although utility tokens encounter added friction and are susceptible to cash grabs or scams, they can also provide the necessary funding, a more appropriate wealth distribution, and an isolated economy to allow great projects and their participants to thrive. As more security tokens come online, utility tokens will have to improve their economies to stay competitive. Projects that issue utility tokens should not have to fear rationalizing their token if their intentions are ethical, they show commitment (e.g. a minimum-viable-product), whilst providing a sound token model that benefits the longevity of their new economy and participants. 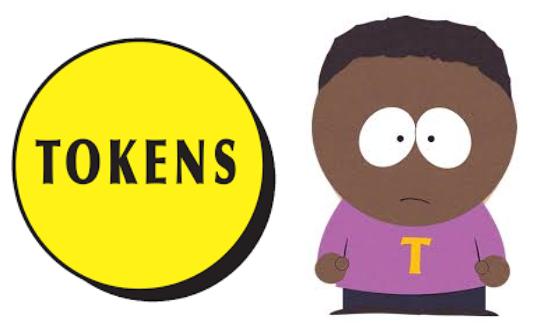 With the right characteristics, a token is completely justifiable. The Art of Justifying a Token was originally published in Superblocks on Medium, where people are continuing the conversation by highlighting and responding to this story.